Following a recent takeover in May 2011 Molesworth Clinic set about undertaking a complete refurbishment and decided to complement this with an online presence. 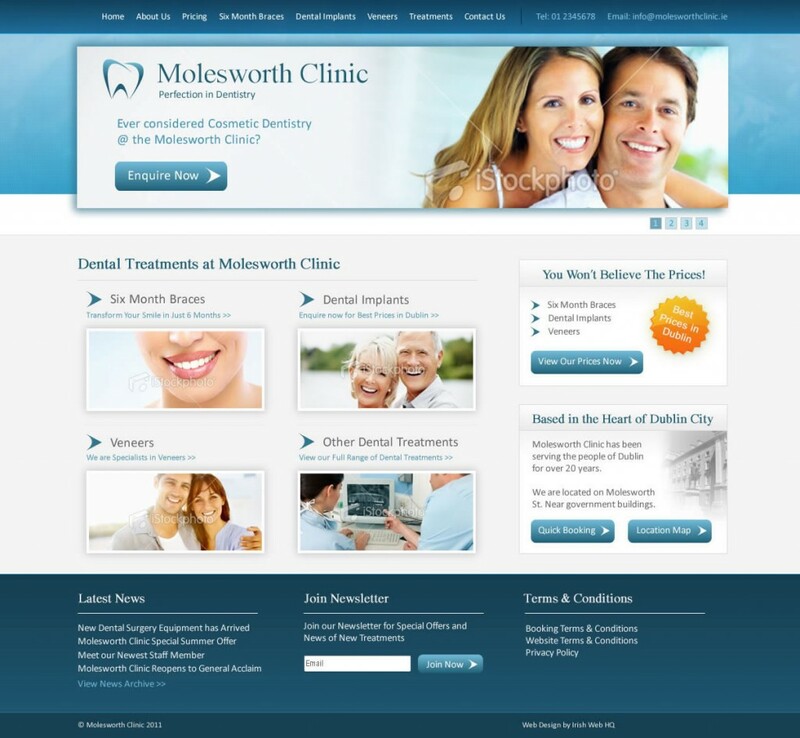 This resulted in a new web design which focuses on Molesworth’s promise of top quality treatment at affordable prices. The easy to navigate stylish website allows visitors to browse the available treatments and answers any questions that they might have. A feature of this website design is the smile gallery which shows the results attainable by undergoing treatment in Dublin’s Molesworth Clinic. The easy to use Content Management System allows our client to update the website to keep visitors informed of up to date treatments and prices.